Could a new budget smartwatch bring wearables to the masses? What's the time? 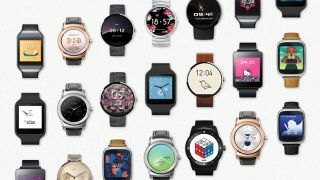 Time to get a super cheap smartwatch, if the new ELE Watch can provide the premium features it claims at a budget price. XDA Developers has spotted the new Android Wear watch from Chinese company ELE (which also makes the Elephone). Spec-wise the device has a relatively average 1.2GHz Cortex-A7 CPU on the inside - apparently a chip that has been specifically designed for wearable devices. It is also set to come with 4GB of storage and 512MB of RAM, and will sport a round 1.5" screen running at 320x320. So far, so ordinary - and closing in on a bit poor when we're getting really high-end screens from brands like Moto and LG. What has got everyone talking however is the price. Apparently the price is going to be an ultra-low $115 (about £75) - this is a magnitude cheaper than comparable Android Wear devices. And that's with it looking pretty slick too. Elephone has previously made headlines for its unusual phones. Earlier this year it unveiled an intriguing device which can dual-boot both Android and Windows Phone, giving users the best of both worlds. The idea behind this to make smartwatches cheaper is a double-edged sword - if the brand makes it a poor experience, then the cost won't matter, as people won't buy poor quality devices. But if it can succeed then there's a new shift coming in wearables.